You’ve made the step to travel all the way to a land down under. Get stuck in by experiencing New Zealand through a voluntour! Voluntourism is an up-and-coming travel activity for backpackers to give something back to the country they are visiting. The popular travel trend has made its way through Asia and South Pacific islands. It was only a matter of time before it reached New Zealand – the ideal location for outdoorsy activities and volunteer opportunities through conservation work. So, as you can imagine, it’s the perfect recipe for an action-packed voluntour. What is voluntourism? The concept is as simple as the word itself: tourism combined with volunteering work. What work can you expect to do on a voluntour? 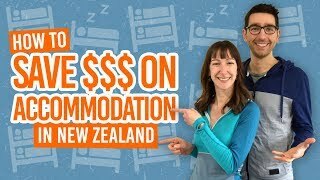 What drew you to New Zealand in the first place? The mind blowing landscapes no doubt played a part in that. With the stunning scenery comes a fascinating ecosystem that New Zealanders and many travellers alike recognise the importance of looking after. Essentially, voluntouring in New Zealand means doing some practical work to restore, maintain and improve the ecosystem of New Zealand areas that have been degraded. What activities can you do on a voluntour? More and more tour guides are cropping up in New Zealand incorporating a place or an activity they love with conservation work. Surf then plant a tree, kayak the rivers then monitor fish species, spot penguins then build a nesting box for them, and list goes on. For example, Blue Voluntours, an Auckland-based marine tour, takes you stand-up paddle boarding before a beach clean-up, or takes you to labs of marine biologists and snorkelling in the Goat Island Marine Reserve. Voluntours can take you on a New Zealand road trip to some of the off-the-tourist-trail locations where you’ll be given insider knowledge on a stunning New Zealand location. All in all, these tours really aim for action-packed fun, while giving you the opportunity to learn about the place you are in much more than you might experience when just “passing through”. 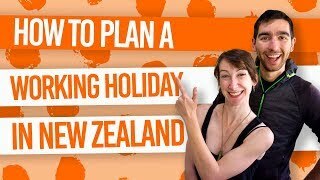 Whether you just want to do a little or make voluntouring your main focus of your New Zealand trip, there are all types of tours to choose from. Want to spend a half-day cruising some remote islands and doing a beach clean-up? Or spend half a month volunteering before embarking on an inclusive New Zealand road trip? You can do any. Think of it like your standard tourism activities that comes in all shapes and sizes. The amount of time you spend actually volunteering is usually about half of the time of the tour, giving you a balance of work and play. Because it is volunteer work, you won’t be expected to do any tasks that will break your back or anything. Remember, it’s tourism! The price of a voluntour is usually slightly more than that of a standard tour. That’s because as well as the cost of activities, accommodation, transport, etc, there should be a donation included in the price toward the charity, trust or organisation involved in the volunteering. Make sure you always check what your voluntour includes and whether a donation is included to know if you are getting a good deal or not. and feel like you give a damn!